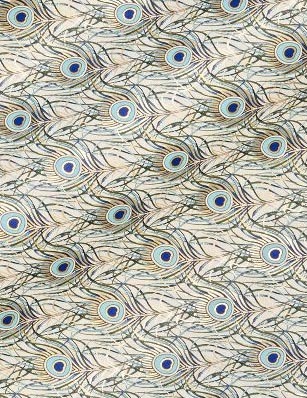 When it comes to decorative and handmade papers, images derived from nature are used in abundance. Some papers are strewn with illustrations of lions and tigers, others with fish. 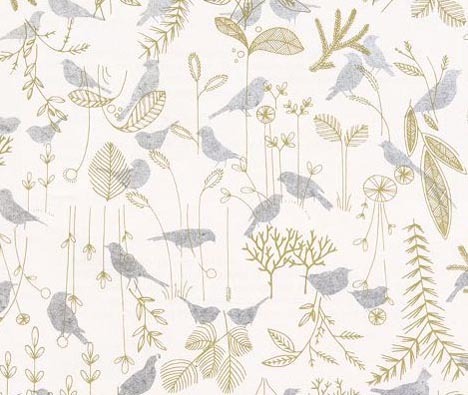 Patterns based on foliage wind their way past sheets sprinkled with seashells. Dogs and cats keep company next to reproductions of 19th century botanicals. 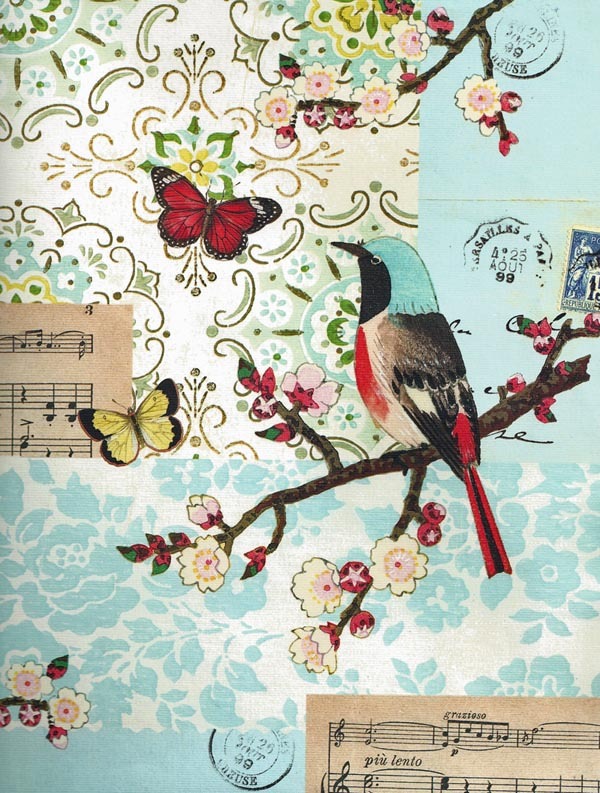 But there is one type of animal that finds its way onto papers from around the world: the bird. 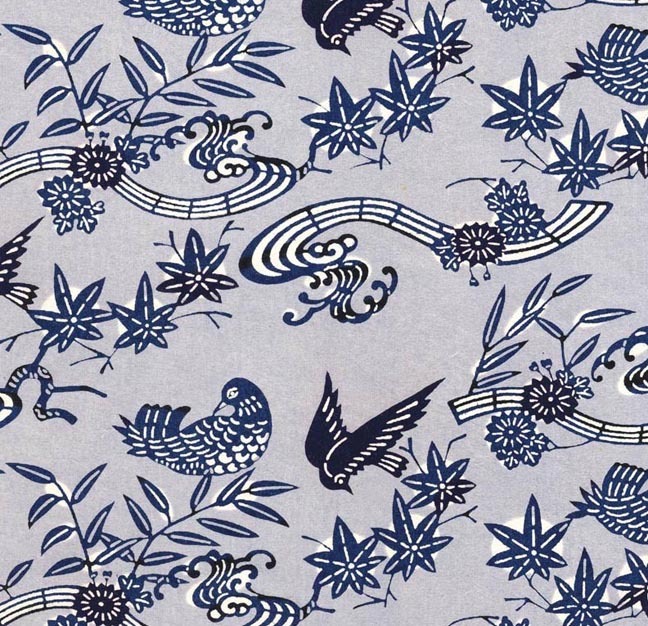 In many cultures, birds symbolize freedom and eternal life. 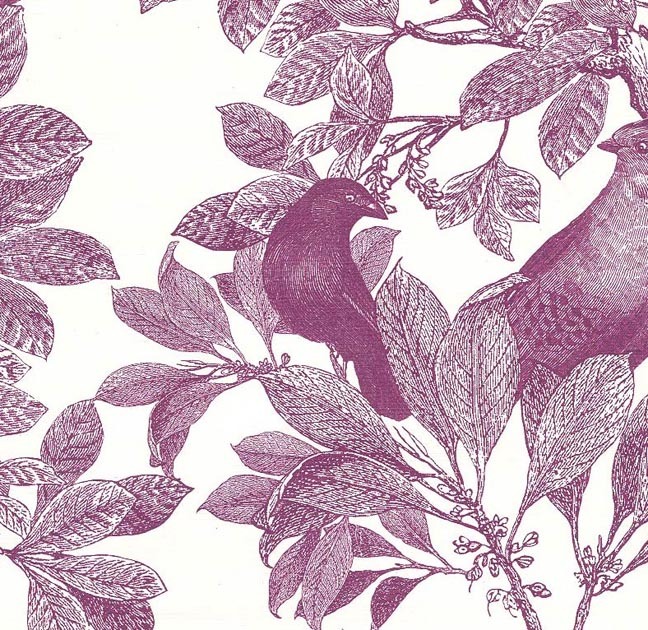 Some birds are linked to specific meanings, like the dove, who represents peace, or the stork, who is associated with birth. Carrion eaters, such as ravens and vultures, are often linked to battle, death and war (which could explain why I have yet to see a paper covered in crows). Symbology can differ depending on the culture; in Alaskan Native American folklore, the raven is considered both a hero and a mischievous trickster who presents many gifts to humans, including light, names for plants and formations of the earth. 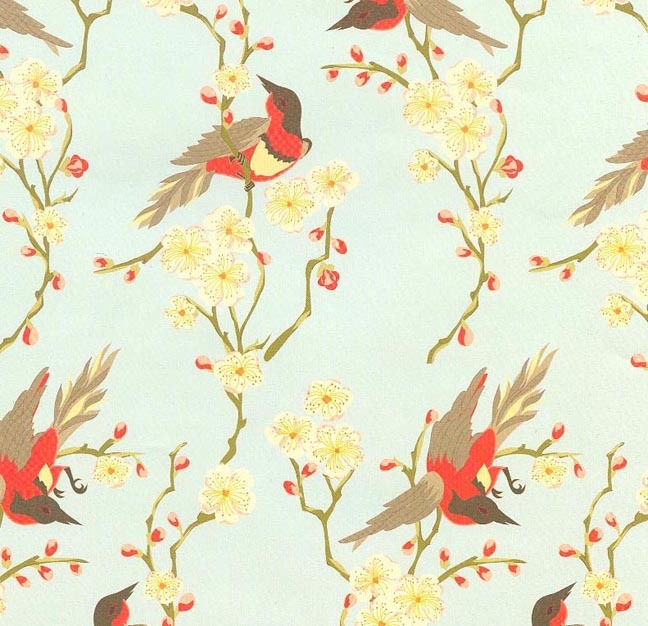 Songbirds symbolize spring and are commonly used in paper designs. 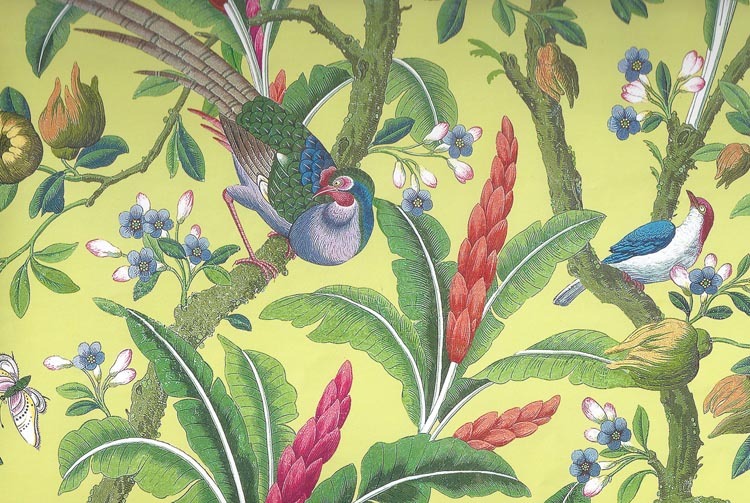 This beautiful paper is based on the painted Chinoiserie designs used in wall coverings. 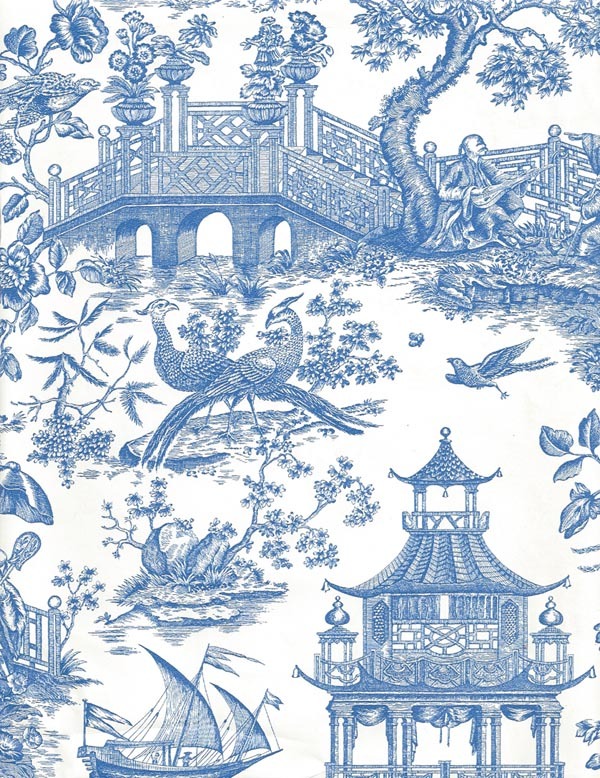 This is another Chinoiserie paper, this time imitating fabric design. 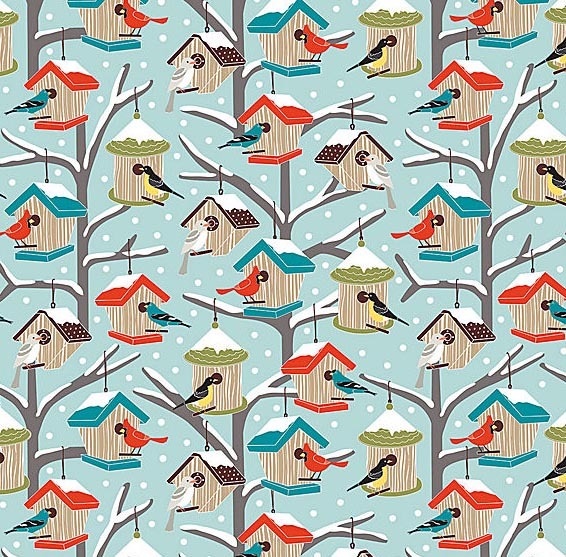 Papers often imitate designs that are usually found on fabric. 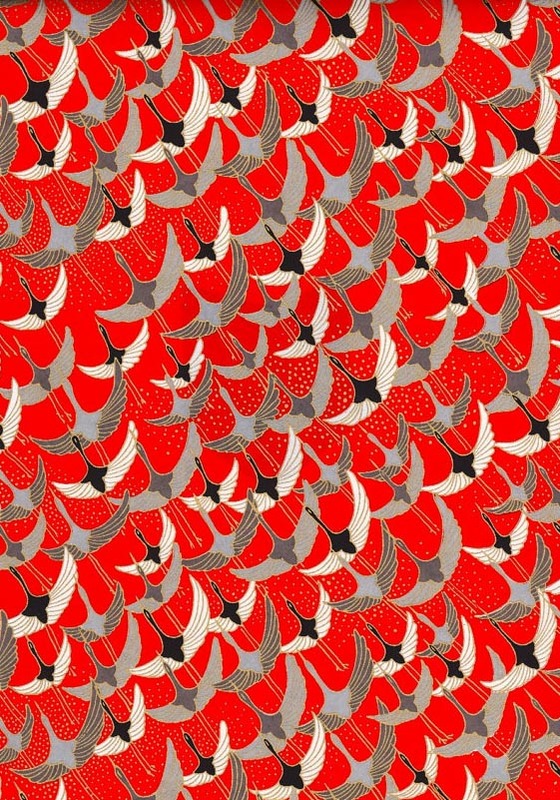 In Japanese chiyogami papers, cranes symbolize long life. 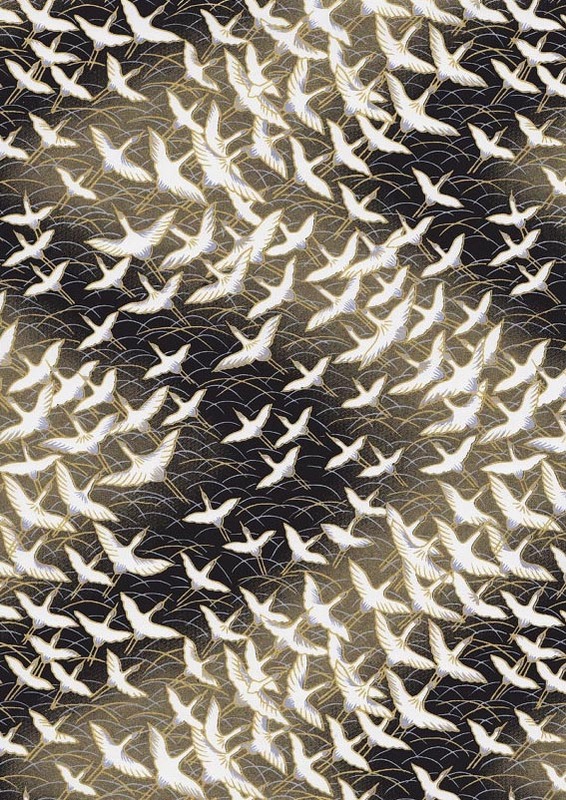 Flying birds can also suggest imagination and thought. Owls are unusual in that their status has shifted over time. 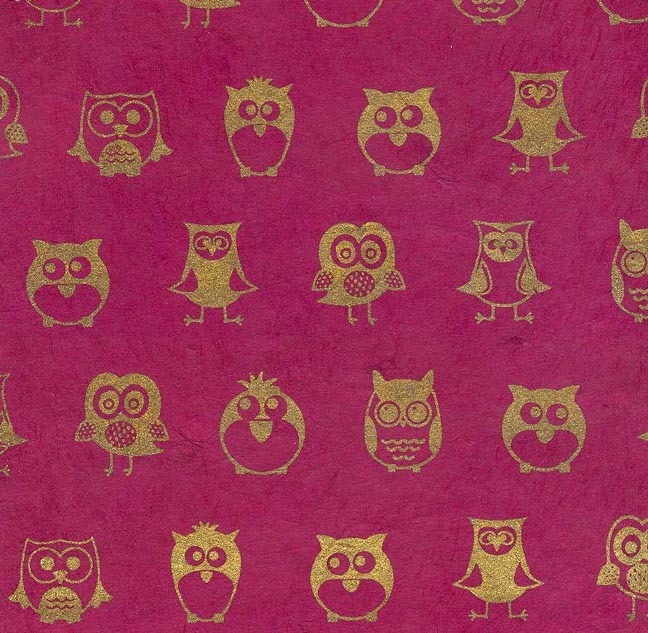 In early Native American folklore, owls represented wisdom and helpfulness along with powers of prophecy, a theme found in Aesop’s fables and in Greek myth as well. By the Middle Ages in Europe, the owl became associated with witches and dark, lonely places. It became feared. 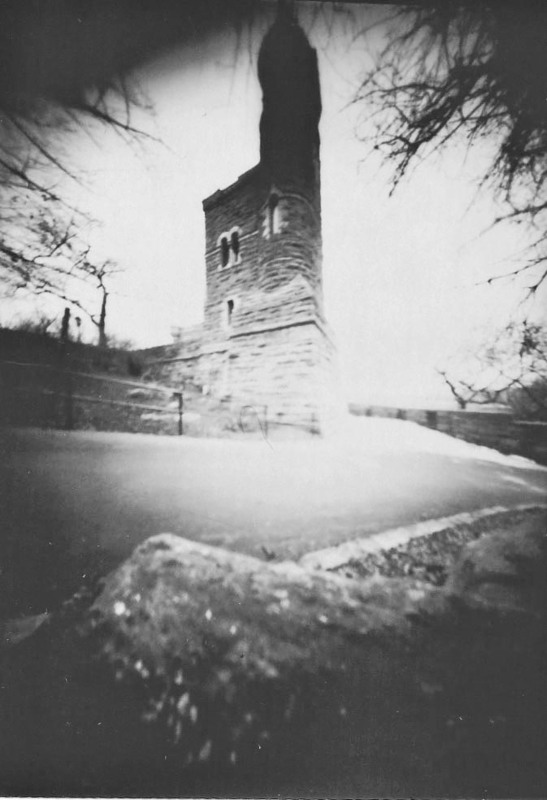 Its appearance at night was linked with the unknown, its call a predictor of death or that evil was at hand. 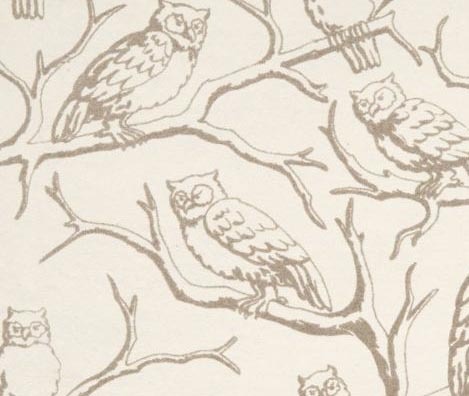 During the 18th century, owls were studied by naturalists, reducing the mystery of these birds. 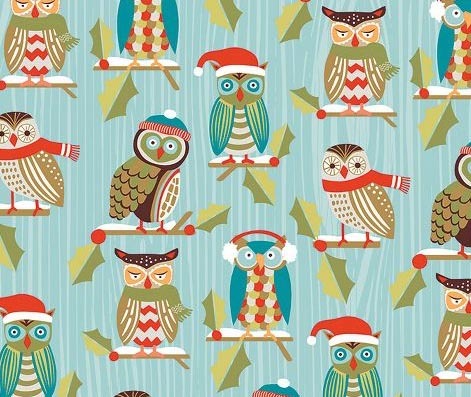 With superstition dying out in the West in the 20th century, the owl regained its place as a symbol of wisdom. 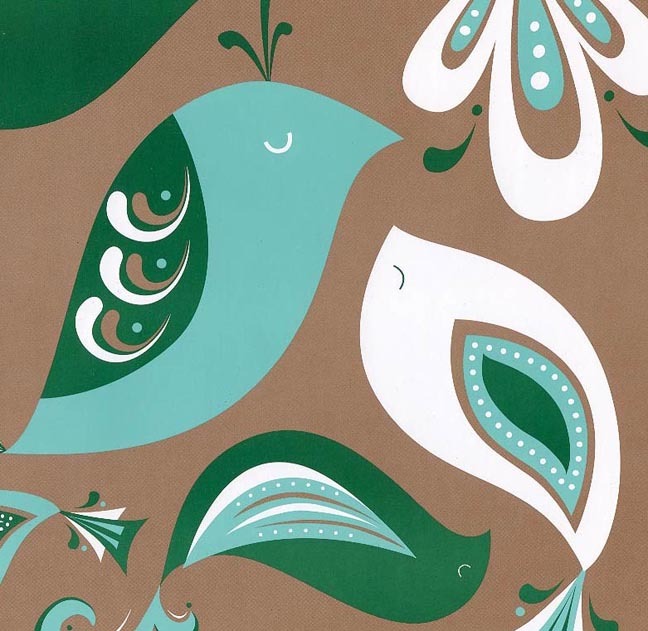 Birds lend themselves well to abstract designs. 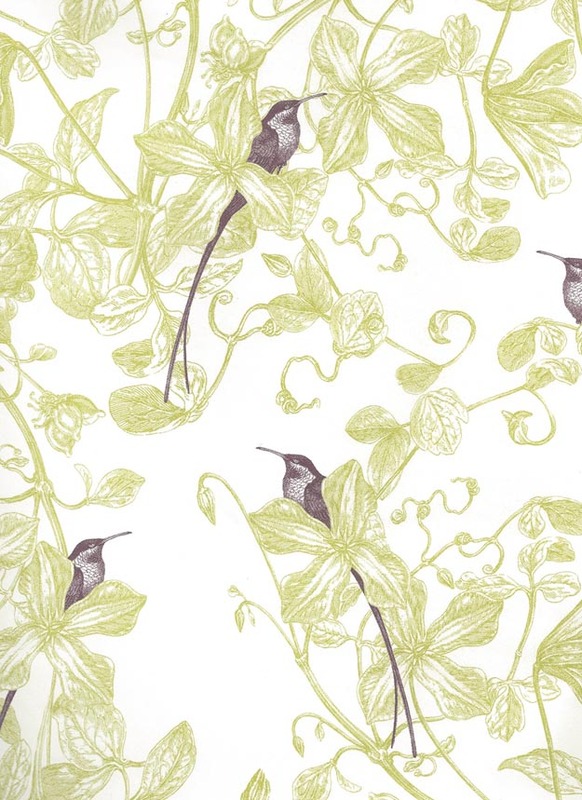 They also fit naturally with patterns that employ branches and foliage. 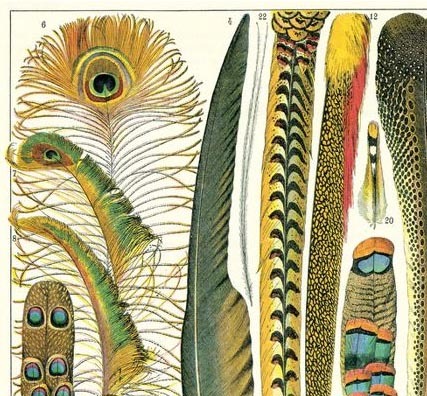 Some papers depict 19th century drawings, like this detail of a Cavellini paper. Of course, with birds come feathers. 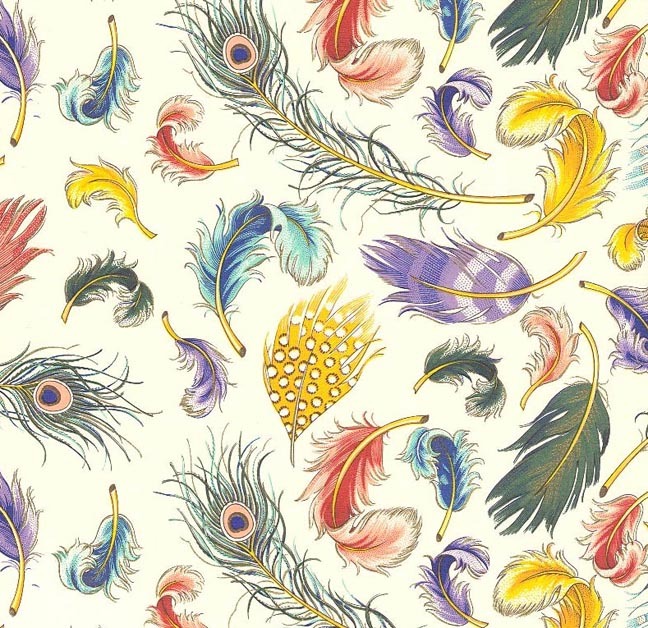 And the colors and shapes of feathers lend themselves well to patterns. 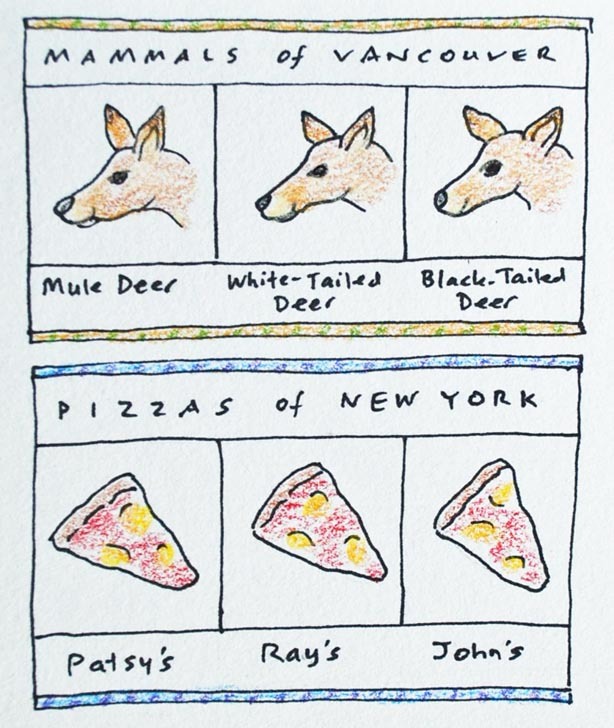 This is one of my all-time favorite papers, an Italian Rossi sheet. 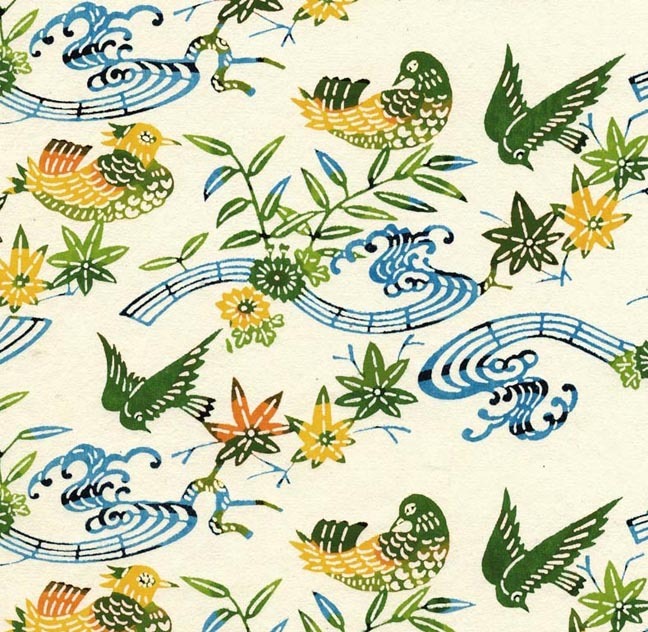 This is a detail from another Cavallini paper. 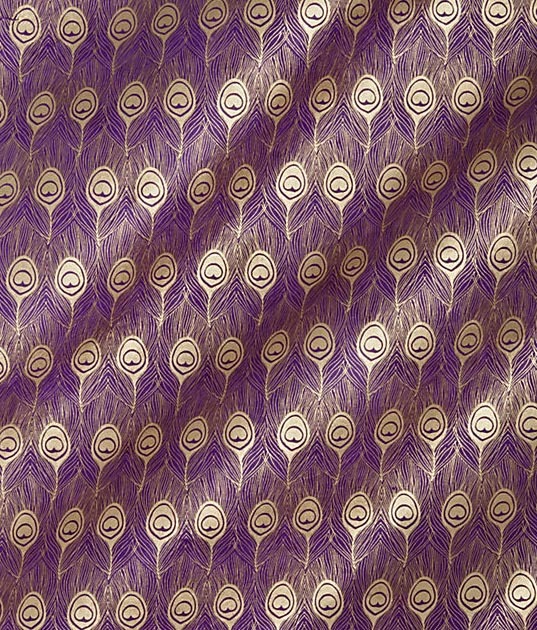 Feathers work well in simples shapes as well. 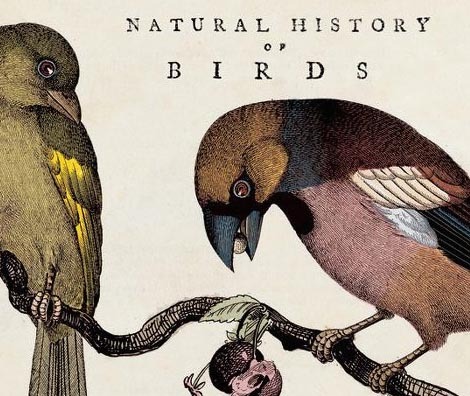 In many cultures, birds are seen as linked to the transition between life and death. Ancient Egyptians believed that the soul could leave the body in the form of a bird, usually a hawk. Graves and tombs were built with narrow shafts leading to the open air so the soul could fly out. 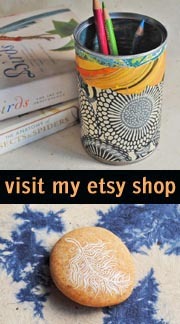 What a magical idea! 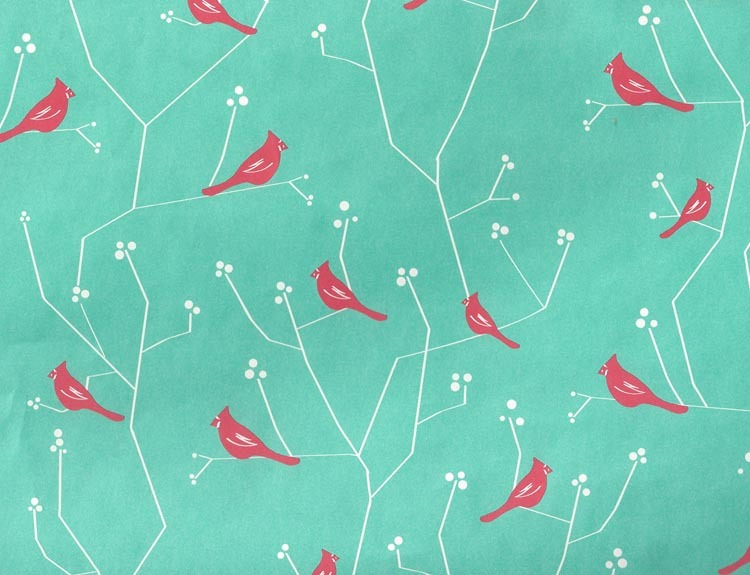 I love papers with birds and work with them often. Here are a few more to spark your imagination. 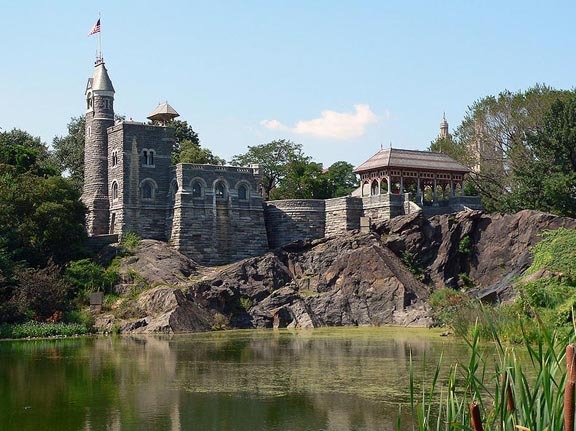 Belvedere Castle is a charming little Gothic-style building in Central Park, perched on a rocky outcropping above Turtle Pond. 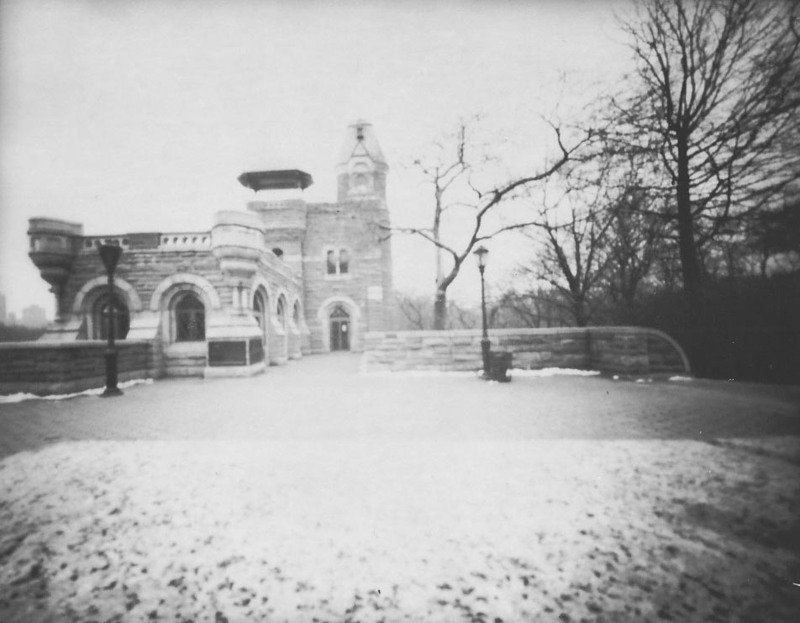 It was built in 1869 as a landmark, without any real function. It eventually became a weather station, and now it’s a nature observatory. I’ve always loved the Castle. What’s not to love about a castle? 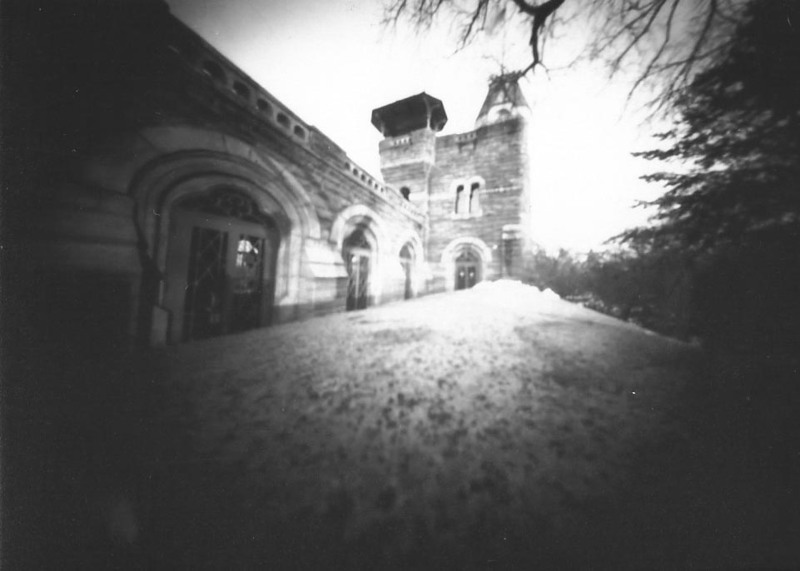 When I first started shooting pinhole photos, I shot it often, struggling with its squat profile, which didn’t lend itself to any foreboding or impressive castle pictures. Here’s a photo of the north side from across the pond. Because it’s built from the same Manhattan schist as it sits on, it seems to grow right out of the rock. 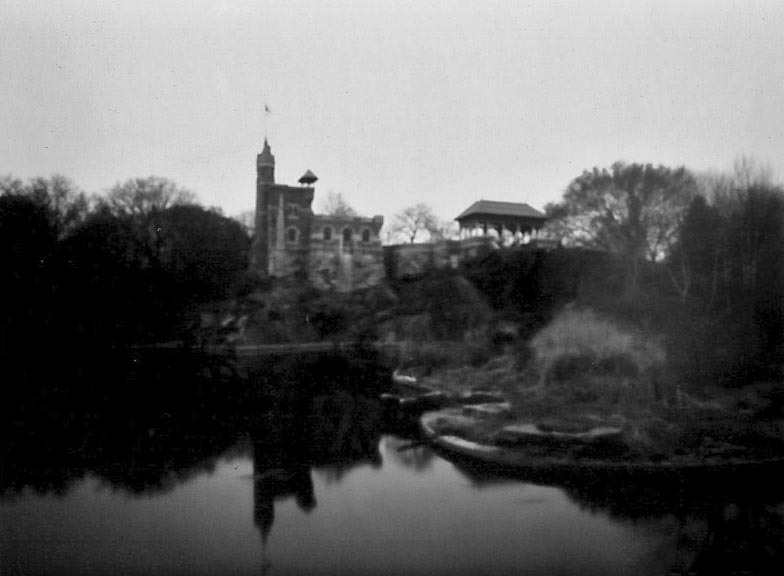 The castle is on the left; to the right is an open terrace and a large shelter, where I was once trapped by an unexpected thunder storm during a lackluster first date. But I digress. 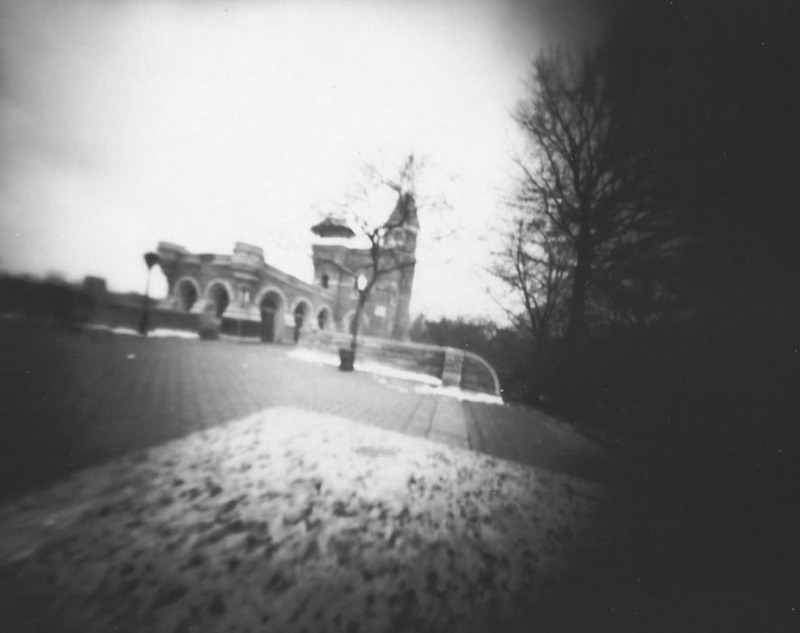 Here’s a pinhole of the same view. My first attempt was facing east from across the terrace, which made for a tough shot, with the open sky overexposing the edges of the building. Next attempt was from the shelter. 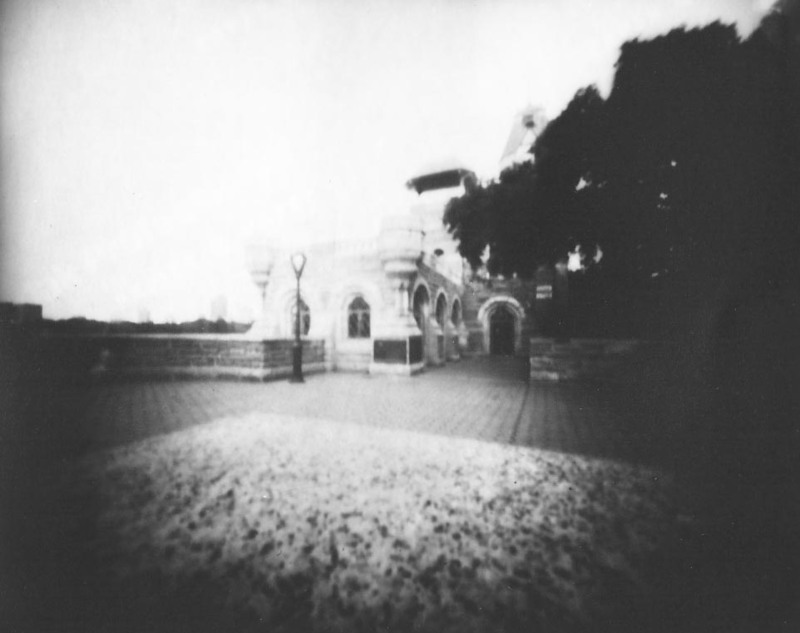 More trouble with over exposure, and do you see how stocky the castle looks? So un-castlelike. Another shot from this side. You can see Turtle Pond to the left. But I’ve lost the tower. It looks like a lump. Would a long shot from the terrace work? Boring, but the stones on the terrace sure look pretty. Still having problems with the bright sky. Moving closer and further over helped a bit. Still too bright. I’m not sure why we’re on such an angle here, but the exposure is improving. Enough of this side, let’s try the tower side. 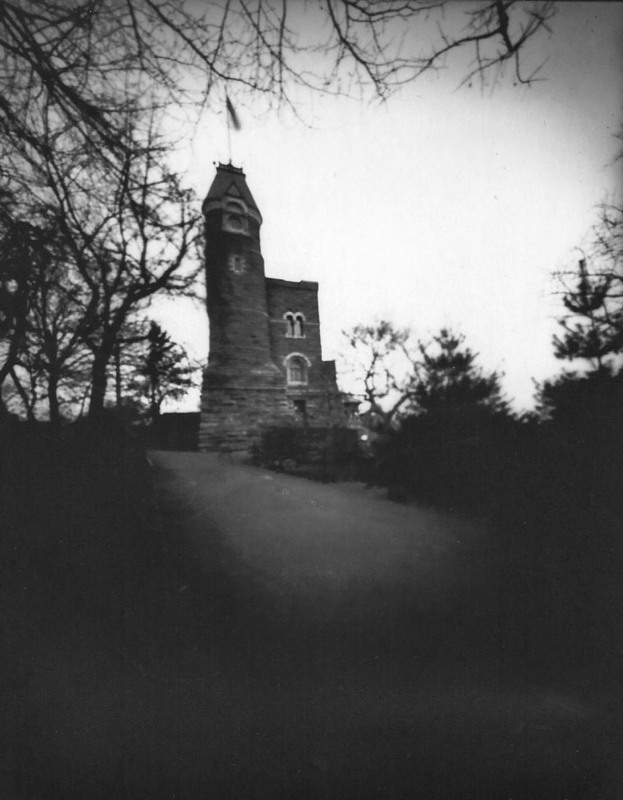 Finally, the tower looks impressive, but the composition’s not that interesting and the mood is weak. Where’s the drama? Where’s the spooky fairy tale feel of a castle that I’m trying to capture? I know it’s in there. I circled the castle for about a year, trying it from all sides and in all seasons. Eventually, as I began to understand the cameras and the light, I was able to figure out how to shoot more successfully. 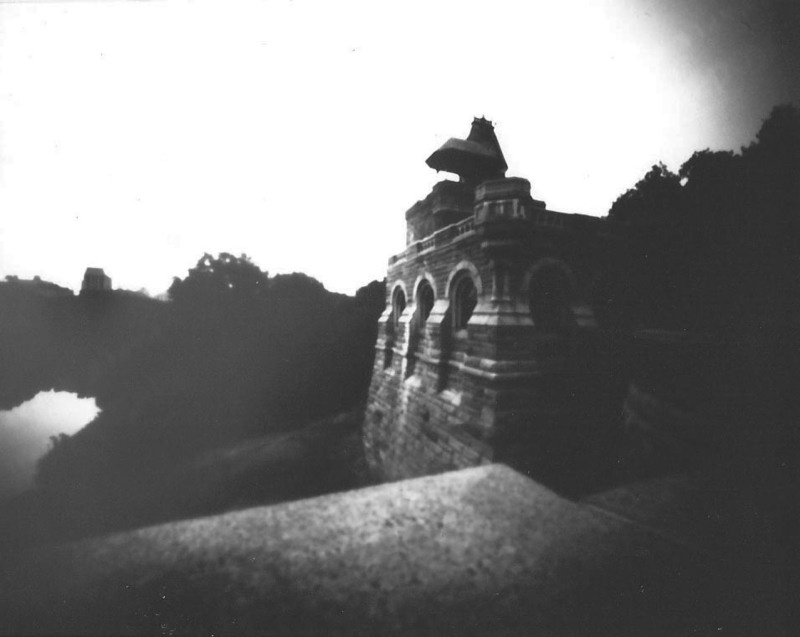 Getting closer and using the angles of the surrounding architecture made the photos more dramatic. 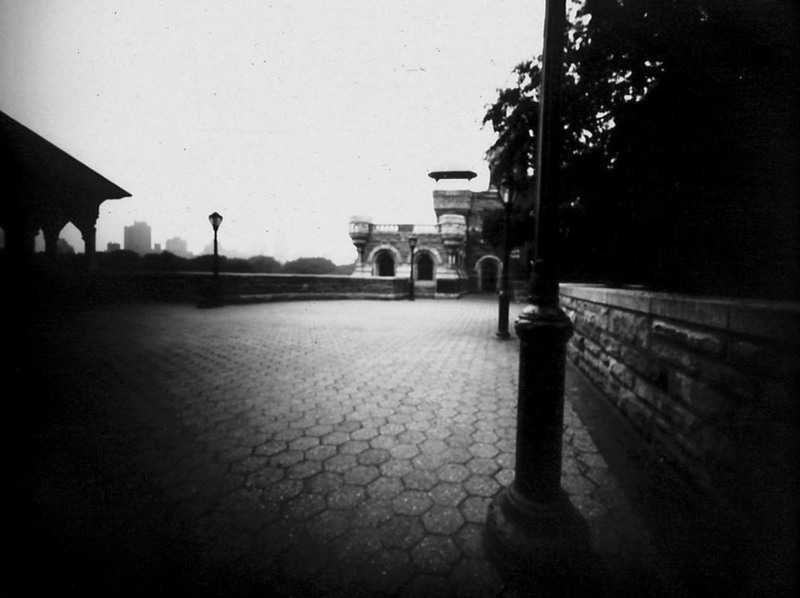 Shooting on days with heavy cloud cover helped reduce the sky’s brightness. My favorite part of the Castle, besides the parapets and the little flag that flutters from the turret, is the cast iron dragon over the entry door. You can’t see it here, so I’ll include a shot at the end. 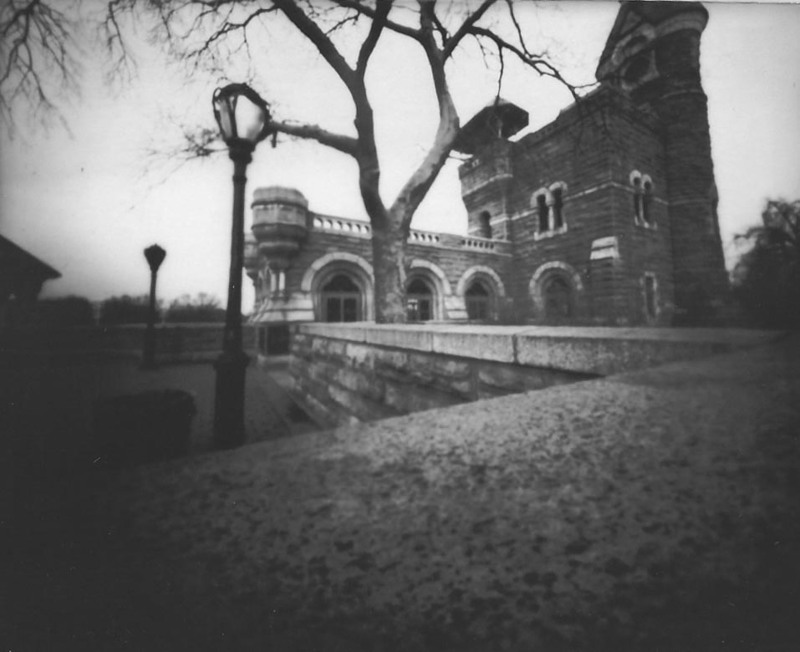 And finally, my favorite castle shot, taken from the south. Rapunzel, Rapunzel, let down your hair! That’s what I was looking for! And to finish, the little dragon over the front door. Because every castle needs a dragon. A few months ago, we took a family vacation in Vancouver, Canada. My brother, Bernard, lives there, my parents flew in from New Jersey and my boyfriend (Tom) and I joined them. As the days passed, we spent a lot of time discussing the local flora and fauna and my brother entertained us with stories of his brushes with grizzly bears, his drive across Alaska and other adventures while camping, skiing and hiking. Tom, on the other hand, is a second generation New Yorker who grew up entirely in New York City. Tom enjoyed my brother’s stories and realized that Bernard had a body of knowledge that didn’t overlap with his own. In fact, they seemed to live in vastly different worlds, each completely foreign to the other. 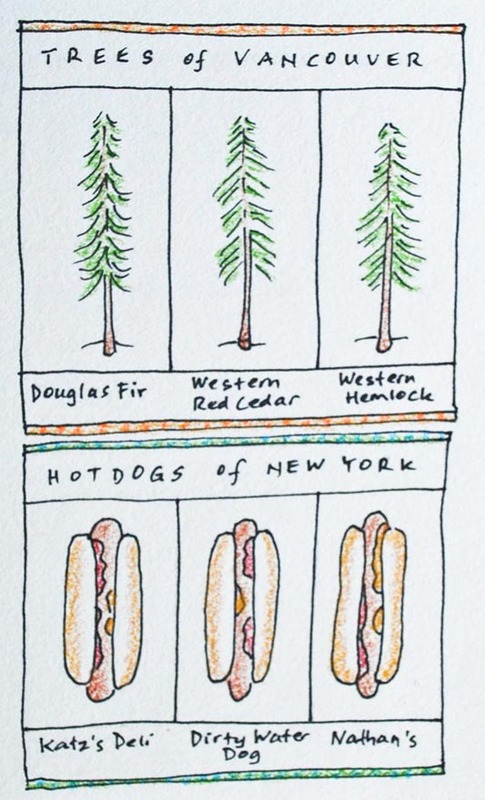 While my brother could identify trees at a glance, Tom didn’t differentiate between trees, because if it was tall and green, it was a tree and that was all he needed to know. Understanding how to survive in the woods for three days without food won’t help when the trouble is in the park at 10th Street and Avenue B. And if you need to take the subway from 14th Street and First Avenue to Madison and 53rd, a compass and a set of binoculars won’t get you there. What may be obvious to one person is invisible to another. At the end of the day, you need the guide who’s appropriate for the relevant jungle. 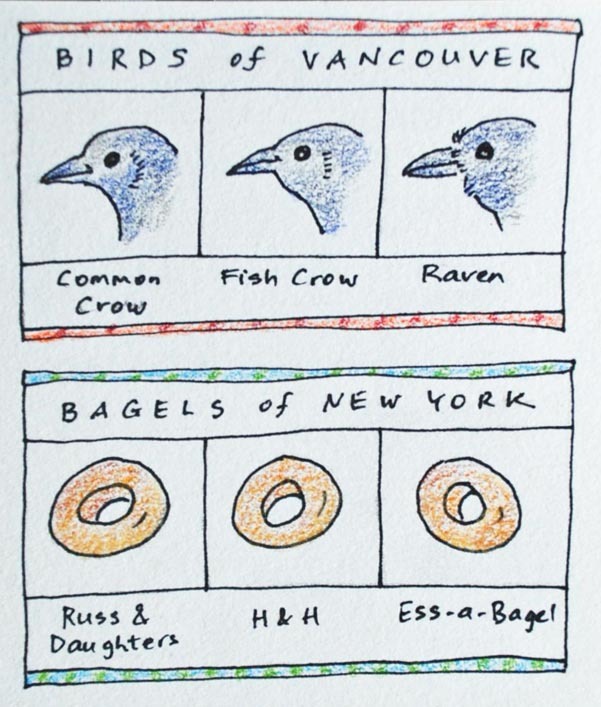 Following is a short field guide to the subtleties found in Vancouver versus those in New York City. Any questions? I didn’t think so. Happy travels! On a recent visit to Philadelphia, after wandering around the Old City, chomping our way through a series of tasty meals and visiting the beautiful little Rodin museum, we thought it would be fun to check out — what else? — the local penitentiary. 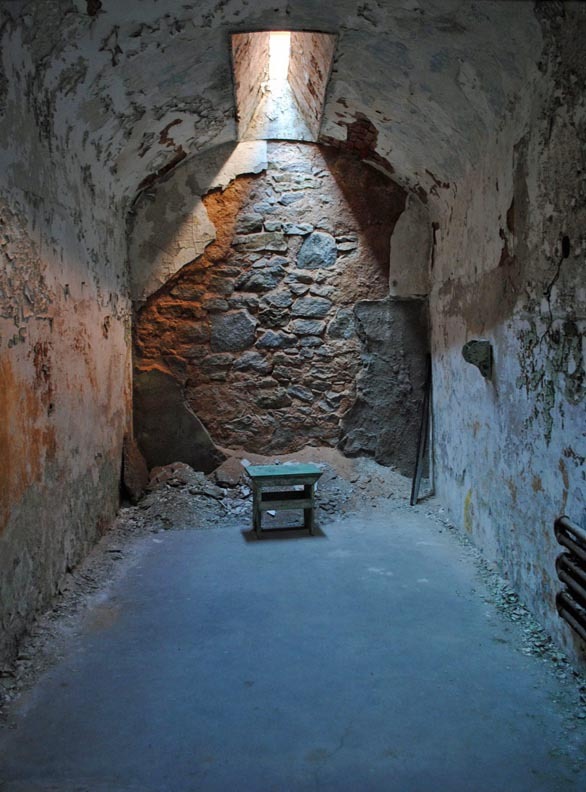 The Eastern State Penitentiary isn’t just any old prison. When it opened in 1829, it was one of the most expensive buildings in the country, second in cost only to the White House. 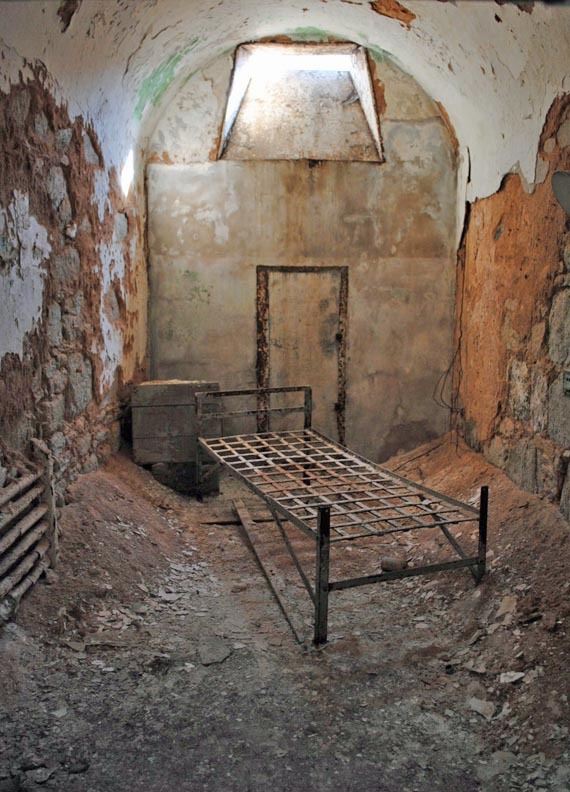 Unlike the White House, however, it was a technological marvel, with each prison cell supplied with running water, a toilet and central heat, all unknown at the time. Why did the inmates receive these benefits? 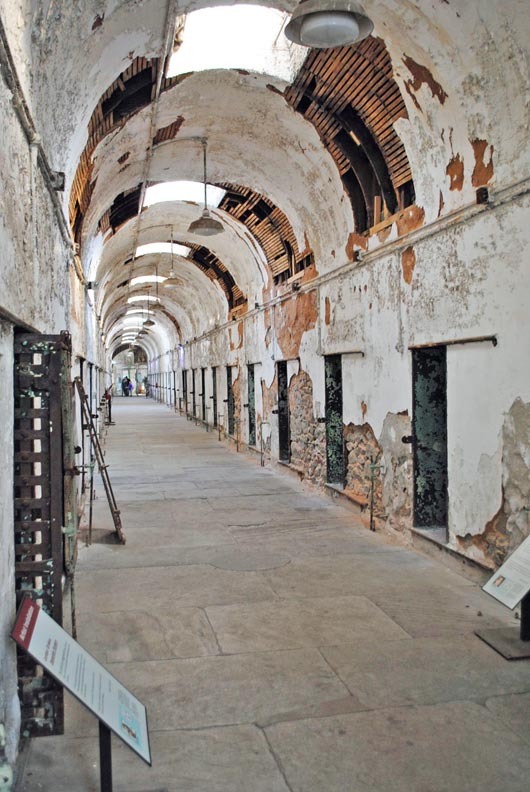 This penitentiary was built to carry out the radical new concept of prisoner rehabilitation. 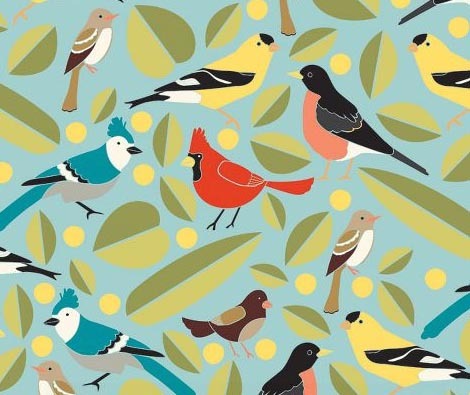 Based on the Quaker belief that all people are inherently good and that crime is a result of the environment, they theorized that if prisoners could be kept apart from one another while learning a trade, they could make new lives for themselves upon release. Instead of punishing criminals, as in prisons, the intent was to make the criminal feel remorse and penitent (hence the term penitentiary), to teach a trade, and most importantly, to keep each prisoner in isolation, away from the bad influences of others. In effect, everyone was in solitary confinement. All contact between prisoners was forbidden. 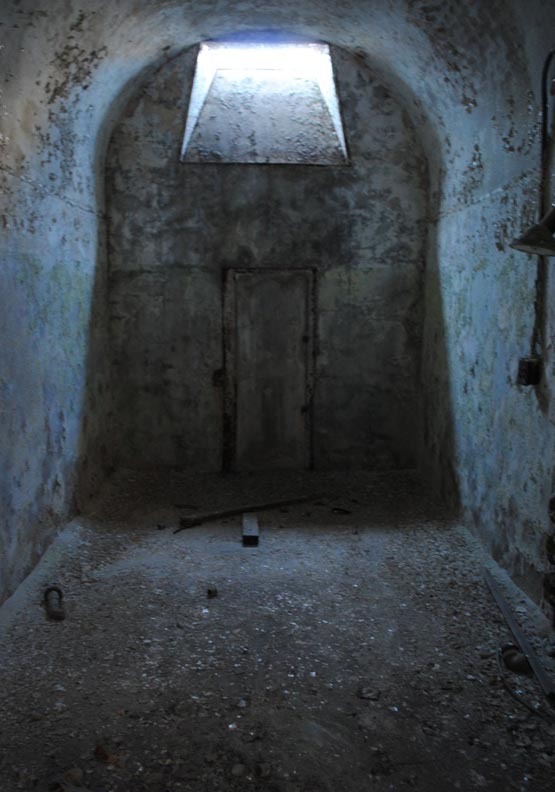 Each prisoner had his own cell with a skylight and a door to a tiny enclosed exercise yard. Feed doors allowed meal delivery. 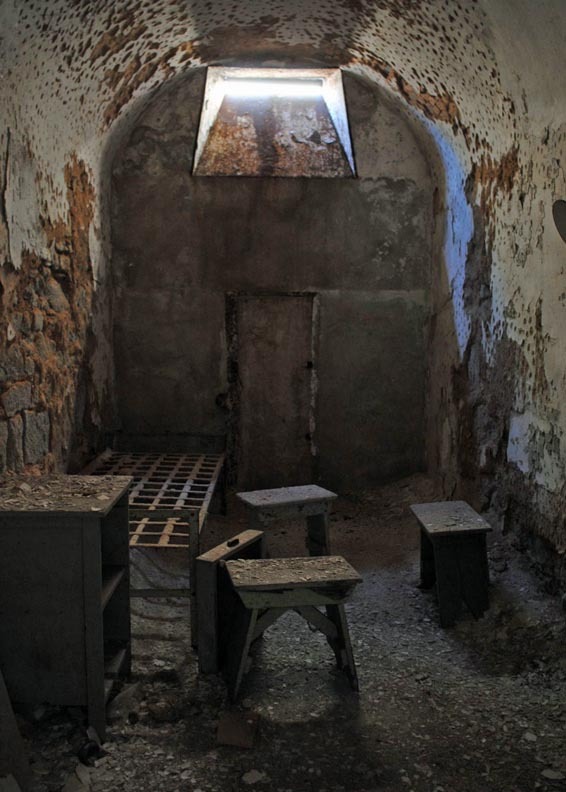 Hoods were placed over the inmates’ heads so they could not communicate with one another during rare trips outside their cells, and the plumbing pipes were installed outside of the cells to discourage communication through them. Letter writing and family visits were prohibited, although tourists could visit the facility. We were allowed to enter one cell to experience its size, which was about 8 by 12 feet (2.4 by 3.6 meters), but dozens of cells were doorless, and I was able to photograph them. 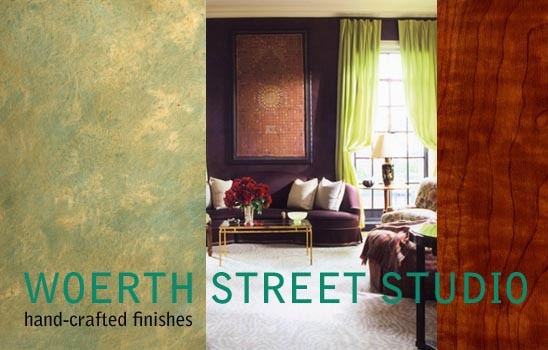 Each was in its own state of decay, some neatly swept, others in disarray, with rusted bed frames, dilapidated furniture and crumbling walls. 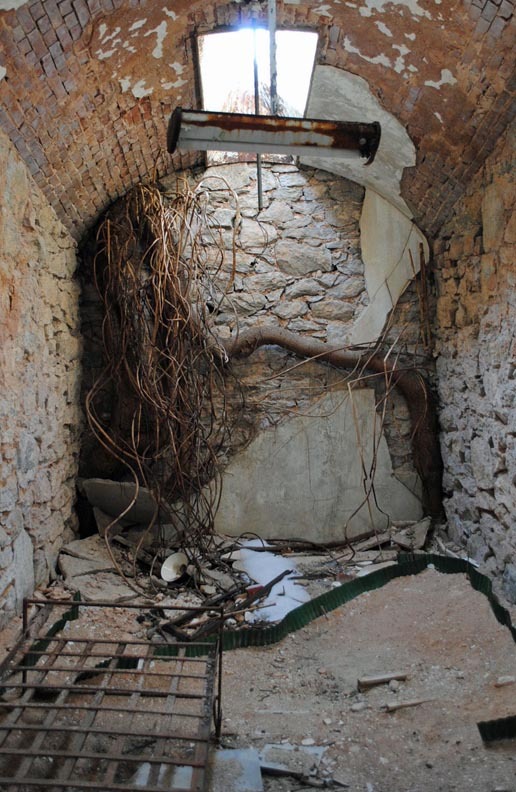 Although I love the layers and textures of decaying ruins, here this was overshadowed by the thought of the men and women who lived in these tiny spaces, deprived of almost all human contact. It was hard to think about spending a few days in such a small, dark space, let alone years. Imagine the despair felt by the prisoners as they were locked in, with a promise of no further companionship for the duration of their sentence. The skylight, the only source of natural light, was high and small. It was meant to evoke the eye of God. 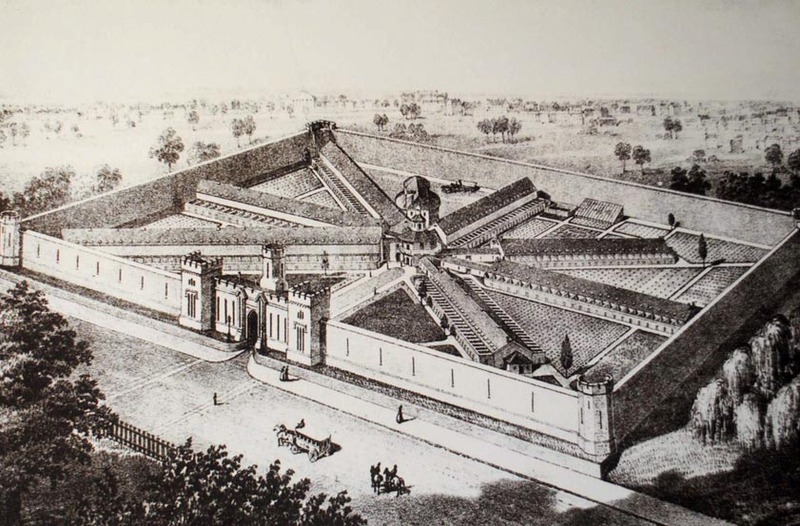 The penitentiary, build just outside of the city in an unusual spoke design, was considered a model of innovation. Guards in a central hub could look down each cell block to observe activity. 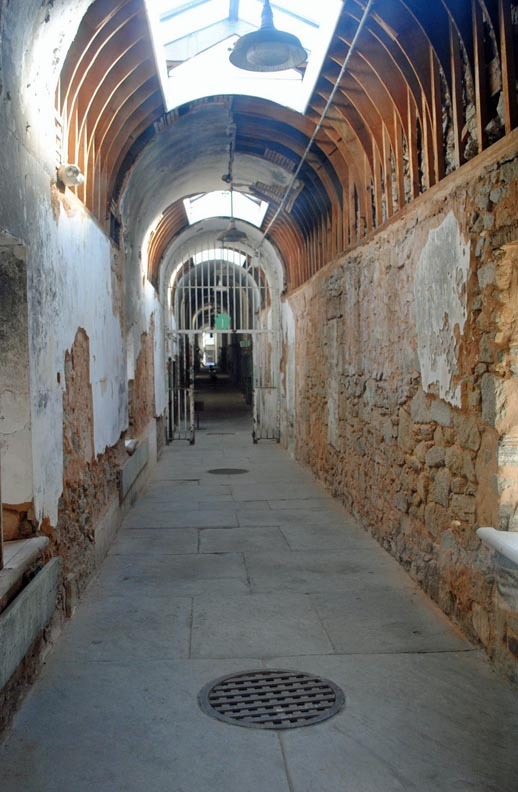 More than 300 penitentiaries around the world were built based on its style. 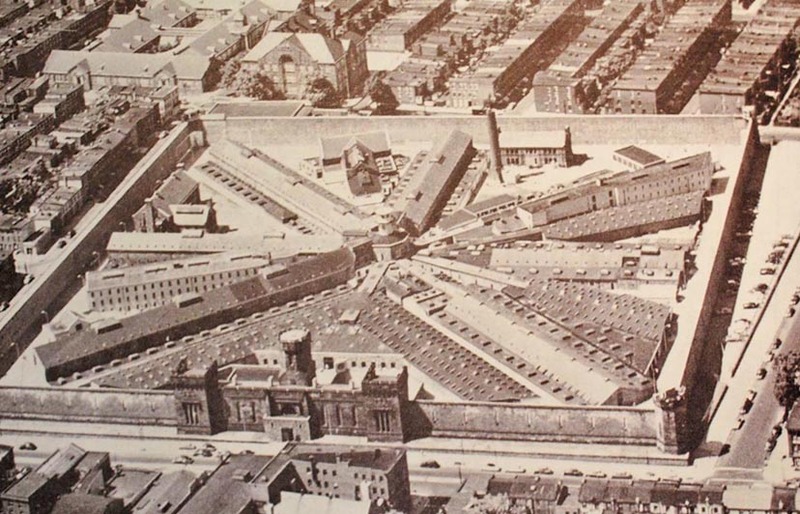 This 1954 photo shows how the city grew around the penitentiary walls. You can see the additions built onto the original design. Some of the cells were stacked in the new additions, which meant that the top cells lacked exercise yards. This cell block contained two-story cells. 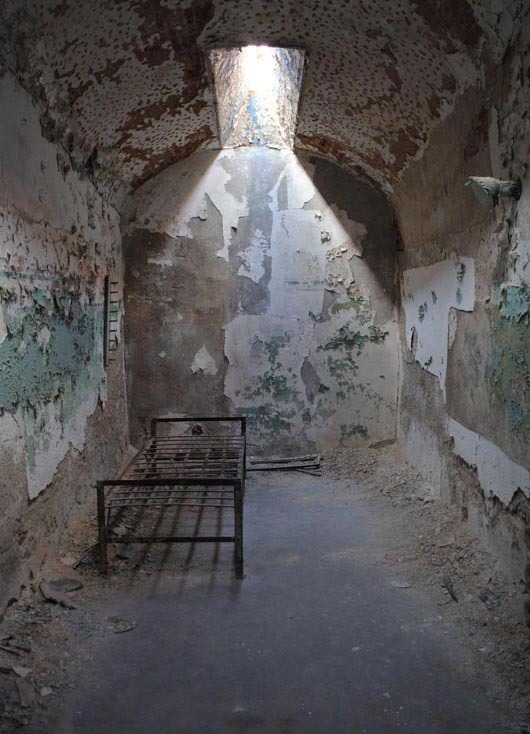 The effects of solitary confinement are extreme. By studying prisoners and learning from those held as prisoners of war, we now know that human beings experience extended isolation as torture. We simply can’t maintain our mental health without human contact. Within months, brainwaves begin to slow down. One third of prisoners eventually suffer from acute psychosis with hallucinations. Others suffer from lethargy, depression, claustrophobia, compulsive pacing back and forth, panic attacks, extreme violence or become catatonic. Paradoxically, people who are this starved for companionship are often left psychologically unfit for social interaction. 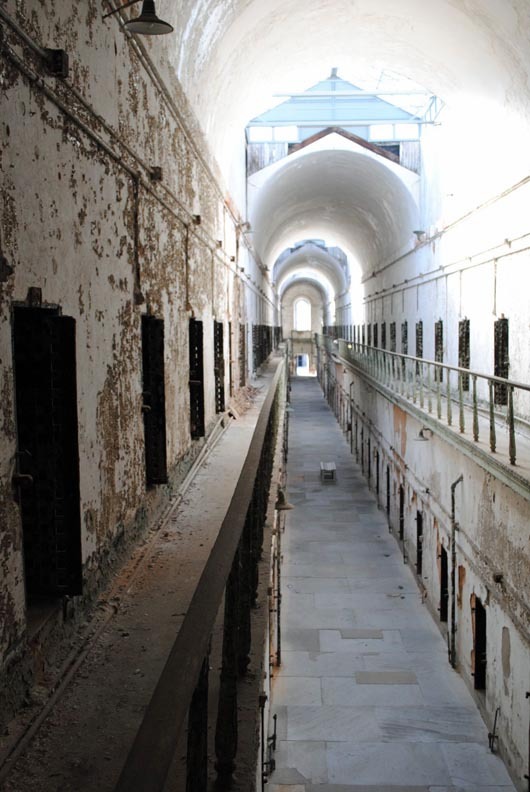 In these cells, you can see the door that leads out to the little exercise yard. The doors were intentionally short, to force the prisoner to bow in penitence as he entered and exited his cell. The cells with north facing skylights received little direct sun. A prisoner would have spent his sentence in what probably felt like a dimly lit hole, except for the one hour a day he spent in his yard. 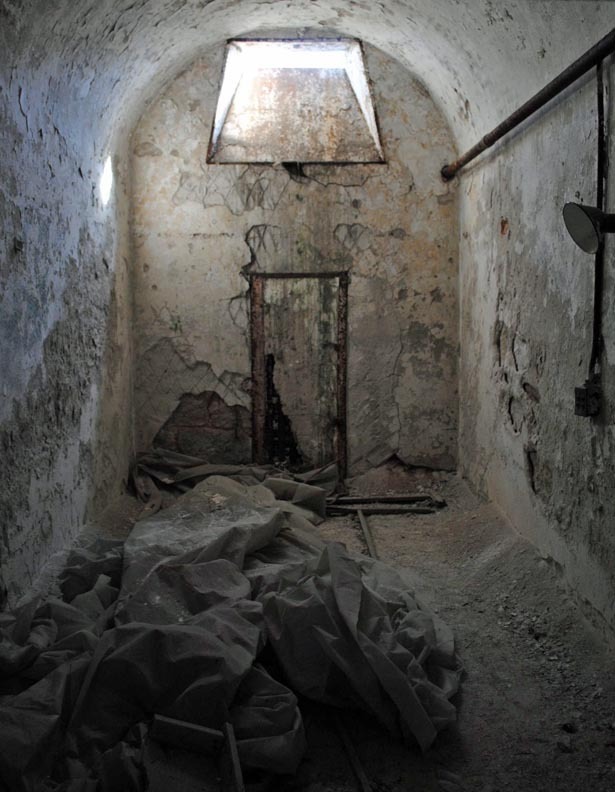 This system of solitary confinement was officially abandoned in 1913, although it had broken down decades earlier, when the penitentiary was beyond capacity and was forced to double or triple up the prisoners in each cell. Eventually, the facility was converted to a modern system, with prisoners eating, exercising and working together in groups. Because of the prison’s spoke design, inmates were hard to control, and riots broke out in the 1930’s and 40’s. In the 1950’s, hardened criminals joined the mix. These dangerous inmates now lived in the heart of a city neighborhood, next to a school and surrounded by homes. The state finally shut the prison down in 1970. 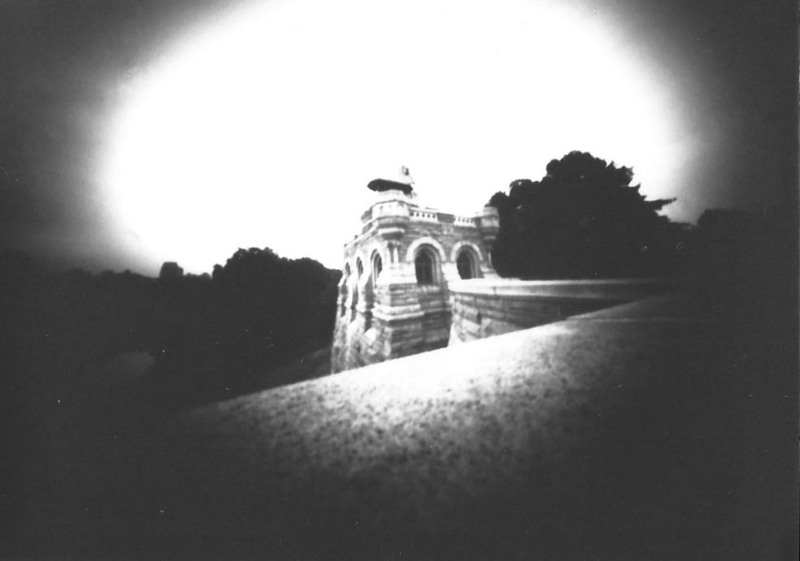 It opened to the public as an historical site in 1988. The United States has the highest incarceration rates in the world; with 5% of the world’s population, it holds 25% of its prisoners, and most likely the vast majority of prisoners who are in long-term solitary confinement. 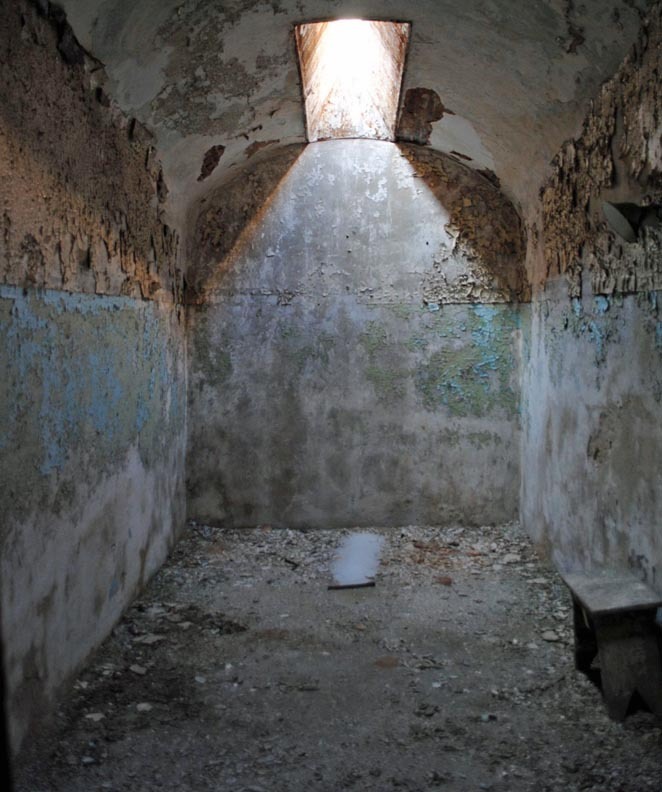 Solitary confinement has never been shown to reduce prisoner violence. The current American system is based on punishment, not rehabilitation. In the 1980’s, Britain began to move away from this system, switching to one that promoted reintegration into society by reducing prisoner violence instead of relying on punishment. They gave their most dangerous prisoners more control, rather than less. Prisoners were housed in small, stable groups, offered opportunities for work, education, social help and mental health treatment. The results were so impressive that Europe soon followed suit. Long-term isolation has now been almost eliminated in their prisons. Despite similar recommendations made by analysts of the American prison system, the current system of punishment remains, held in place by politicians unwilling to appear soft on crime, and by public sentiment that does not believe another approach will work. As a result, solitary confinement in the U.S. has exploded. I don’t know what the answer is. It’s hard to have compassion for murderers and violent criminals. At the same time, giving prisons the freedom to inflict psychological torture on all inmates, whether burglar or murderer, seems extreme, especially when we know that there are avenues to rehabilitation. Whatever the solution, it’s hard not to notice that we have travelled an awfully long way from the original objective of redemption and the belief that all people are inherently good.